White stretch cotton dress shirt. 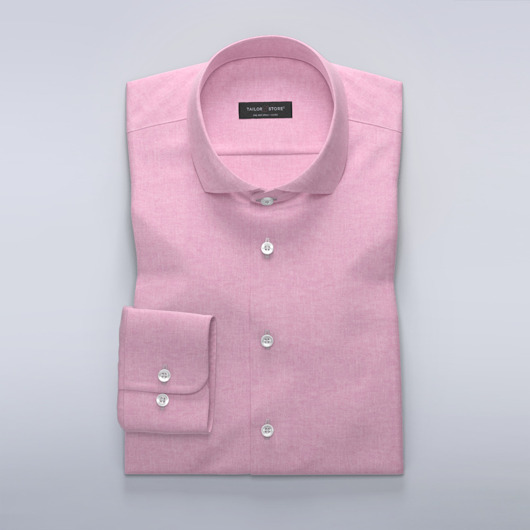 Featuring a Mao-collar, contrasting buttons and roll-up sleeves, wear with chinos or jeans for a casual style. Made to your measurements.